Catwoman is a fictional character appearing in American comic books published by DC Comics, commonly in association with the superhero Batman. Created by Bob Kane and Bill Finger, the character made her debut as "the Cat" in Batman #1 (Spring 1940). Catwoman, whose secret identity is Selina Kyle, has been Batman's most enduring love interest and is known for her complex love-hate relationship with him. 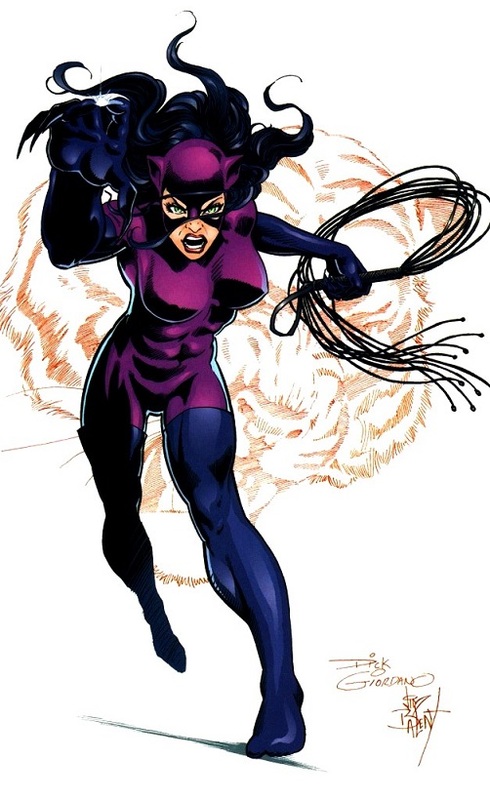 As a Gotham City burglar, Catwoman typically wears a tight, one-piece outfit and uses a bullwhip for a weapon. She was originally characterized as a supervillain and adversary of Batman, but since the 1990s, Catwoman has been featured in an eponymous series portraying her as an antiheroine, often doing the wrong things for the right reasons. In the comics Catwoman has been chloroformed at least three times. The most famous is the cover for Gotham Knights #8, where she is chloroformed by Batman. Columbian Batman cover; year and issue unknown..